Wooden floors are always in style, so give your home or office a makeover that lasts – with a wood floor installation. The floor fitters in Wimbledon SW19 provide a service geared towards your complete satisfaction. You have complete control over the process and can choose among a variety of design choices and materials to have a floor that meets all your requirements. You Get Something that Lasts Decades: We work with longevity in mind, which is why we only buy the highest quality oak, cherry, ash, maple, pine and walnut on the market, for the projects. What Can You Expect with The Wood and Parquet Floor Fitters? Each project begins with understanding what you need. You have a rich choice of floor and material types. 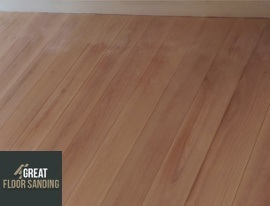 We send in a team for a completely a consultation to see whether the floor needs any specific leveling. Before the installation, you also have the choice to request sound and damp proofing for longevity. Once the floor has been installed you can also rely on the wood and parquet floor fitters for skirting board and beading installation, door and door frame trim. Professionalism remains the sole principle with which we approach every single project – this is best reflected in the personnel we hire. All wood floor fitters in the employment in SW19 are the very best in what they do, having completed hundreds of floor installations. You get a skilled team who knows how to approach each individual project, using only the best products and equipment to deliver a stellar service. Your floor is going to look perfect. Reaching the office is easy. All you have to do is call us at 020 3404 9697 and a member of our support staff will help you with all questions you may have. We can easily schedule a no-obligation on-site consultation with the experienced Wimbledon SW19 wood floor layers, make changes to existing appointments as long as it’s 24 hours prior to arrival, and hand out information about our service. All lines remain open for the whole week, from Monday to Sunday, with no exceptions.